No Student RSVP needed! All events are free and open. The College of Arts & Sciences Career & Networking Week, Jan. 29 to Feb. 2, is designed especially for students majoring in the humanities, social sciences and natural sciences. All the activities are free and open to College of Arts & Sciences students and alumni. “You may be struggling with looming career and life choices. 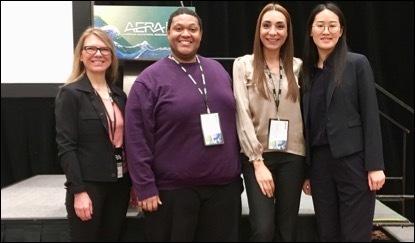 The chance to network with successful alumni who can share their career experiences and, perhaps, open opportunities for internships and careers could be one of the most impactful opportunities while you’re in college,” says Dean Robert Frank. “I encourage you to take advantage of the College of Arts & Sciences Career and Networking Week and, in particular, plan to attend the Alumni-Student Networking Reception. 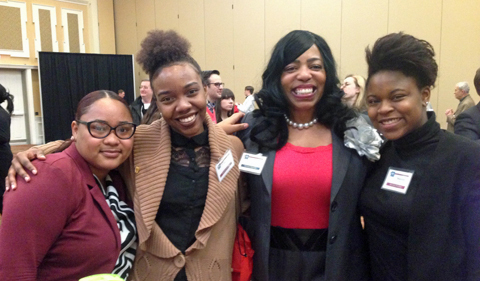 Connections with alumni have changed the lives of many Bobcats…. Students and alumni meet, network and build career relationships at the Arts & Sciences Career and Networking Reception. A highlight is Student and Alumni Networking Day on Thursday, Feb. 1, with alumni career panels, roundtables and resume review in the afternoon, followed by an Alumni & Student Networking Reception, where Arts & Sciences students and alumni come together for a networking lab with how-to instruction for one-to-one networking. 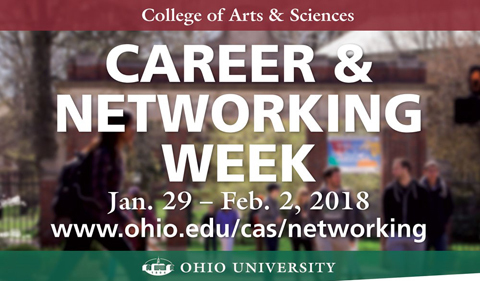 College of Arts & Sciences students can shape their future by building a Bobcat network at the reception, which is Thursday, Feb. 1, from 4:30 to 7 p.m. (come for whatever fits your schedule) in Baker Center Ballroom B. Get tips from networking guru. 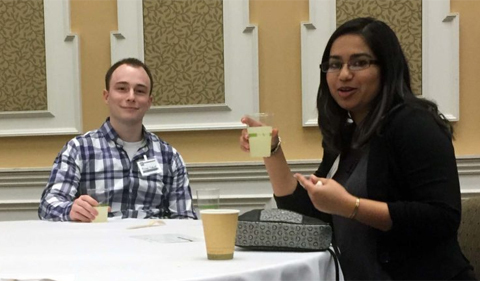 Senior Amna Durrani and alumnus Michael Richard talk at the Career and Networking Reception. They discussed his career in anti-money laundering and her interest in psychological forensics. The week also offers a full menu of workshops and opportunities for individualized career coaching. There’s something for everyone: career coaching, mastering LinkedIn, resume review, and more. And it’s all free. For more student information, contact Kacey Schaum, Assistant Director for the Career and Leadership Development Center. For more alumni information, contact Lisa Cohen, Director of External Relations for the College of Arts & Sciences. 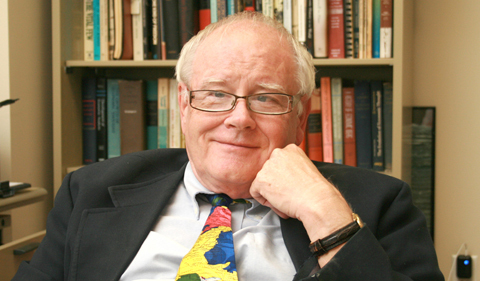 Dean Robert Frank and Imants Jaunarajs, Assistant Dean of Students for the Career and Leadership Development Center, discuss how to leverage Arts & Sciences degrees into awesome careers. Discover the features offered through LinkedIn—one of the best networking tools—including how to navigate the Alumni Networking Tool. Bring a laptop or tablet to this interactive workshop. Looking for an internship or job outside of Athens or your hometown? Join us for a discussion on ways to engage in your new community, and hear from young professionals who have moved to multiple new states for work. Learn how to set-up your profile and utilize Bobcat CareerLink to connect with employers seeking Bobcats through job and internship postings, on-campus interviews, career events, and more. Thursday, Feb. 1, 2018—Alumni Networking Day! Take advantage of individual career coaching with Assistant Director Kacey Schaum. Start with a short, easy conversation by phone or on campus. RSVP to schaum@ohio.edu. This Arts & Sciences networking night brings alumni and students together for a career development and networking lab with how-to instruction for one-to-one student and alumni networking. Students will receive business cards, engage in the “Art and Science of Networking,” and build their Bobcat network. 11:50 a.m. to 12:35 p.m.